By vetoing lawmakers’ attempt to remove themselves from the Public Records Act, Gov. Jay Inslee showed he is willing to defy a majority of the Legislature — including leaders in his own party — to do what’s right for the people. Jay Inslee stood up for government transparency on Thursday. In vetoing lawmakers’ self-serving effort to exempt themselves from Washington’s Public Records Act, the Democratic governor showed he is willing to challenge a majority of state legislators — including leaders within his own party — to do what’s right for the people. By rejecting Senate Bill 6617 in its entirety, Inslee proved that his commitment to open government extends beyond his own office. He clearly demonstrated he values citizens’ right to know what their elected officials are doing on their behalf above lawmakers’ desire to hide embarrassing emails. The governor had many reasons to do the right thing. One was the blazing speed (48 hours from start to finish) at which lawmakers passed the bill last week to conceal their past emails, calendars, disciplinary records and other working documents from the public. A Thurston County judge ruled in January that lawmakers have been illegally withholding these documents, siding with The Associated Press, The Seattle Times and eight other media organizations that filed suit last year. SB 6617 would have permanently locked these records away from public view, while allowing citizens to access only select legislative documents in the future. It would have simultaneously made state lawmakers the final arbiters of which records the Legislature chooses to release, eliminating the opportunity for citizens and the news media to appeal to a judge when their requests are denied. As the #MeToo era brings to light complaints of inappropriate behavior and sexual harassment at the Capitol, the Legislature cannot be allowed to bury past allegations and investigations of lawmakers’ misconduct. Going forward, the public also needs more insight into how the Legislature deals with complaints than SB 6617 would provide. Fundamentally, citizens should expect their elected state lawmakers to abide by the same government transparency and disclosure requirements as port commissioners and small-town city council members. Lawmakers should not be allowed to circumvent these rules and bypass the judicial branch of government by changing the law and making it retroactive, damaging voters’ ability to keep tabs on their elected lawmakers in the process. Inslee made the right call. He should be lauded for brokering a deal between the Legislature and the news media plaintiffs to temporarily halt enforcement of the trial-court ruling, allowing more careful deliberation of these issues as the case goes through the appeals process. But credit also must go to the thousands of Washingtonians who contacted Inslee’s office urging him to veto the bill this week. 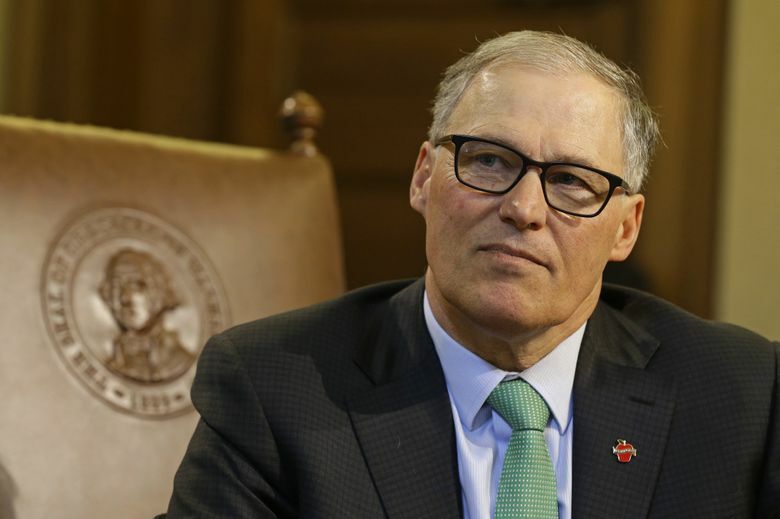 As of 4 p.m. Thursday, more than 12,500 people had emailed Inslee to request that he veto SB 6617, while more than 6,300 people had flooded his office with calls. Their voices joined those of The Seattle Times and 12 other newspapers from across the state, each of which ran front-page editorials on Tuesday urging Inslee to veto the bill. Inslee listened. Now, it is time for lawmakers to do the same. They must stick to their word by not voting to override Inslee’s veto of this infernal legislation. The people have spoken. Now, they expect their elected representatives to follow their lead.